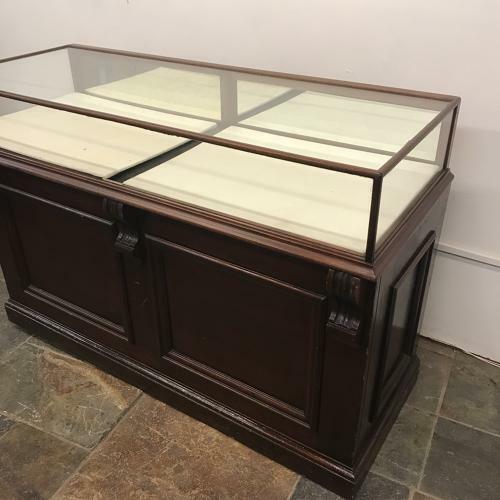 This jewellery cabinet is in nice original condition. It has two flip down doors and a very nice mahogany pannelled base. The back of the cabinet is open but could be fitted out with shelves or drawers.